The Salamander RCM1 is designed to create a fully automatic negative head system when accomodated with a positive head pump. The Salamander RCMs (remote control modules) are designed to create a fully automatic neagative head system when accomodated with a positive head pump. 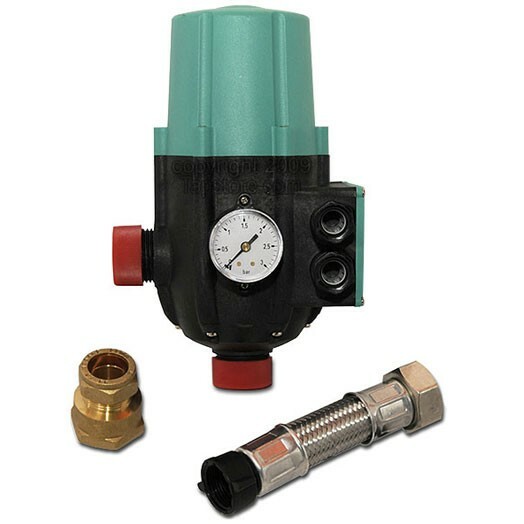 The RCM1 is designed for use with pumps with closed head pressure (CHP) of 2.25bar and above. Two RCM's should be installed per twin pump and one RCM per single pump. If you require assistance with selecting the correct pump for your needs please contact the Tapstore pump advice line on 0845 064 5907.